We are thrilled to announce the upcoming release of Adventure Academy, the world’s first premier (or “AAA”) educational massively multiplayer online game (or “MMO”)! 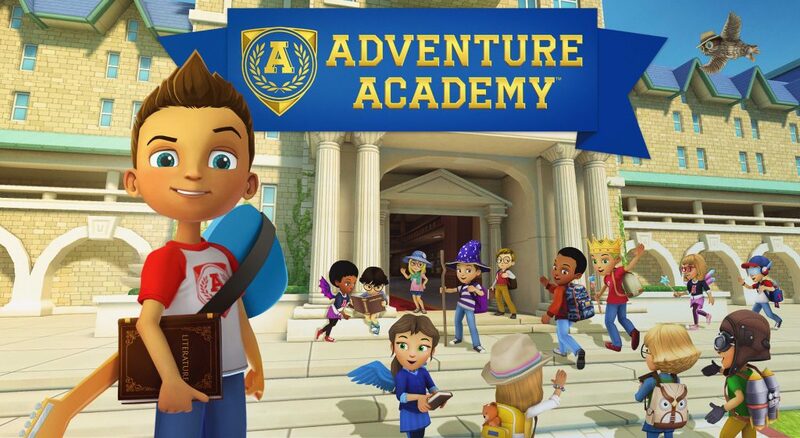 Launching May 1 on computers, tablets, and smartphones, Adventure Academy will provide elementary and middle school age children with an immersive, interactive learning adventure where they can explore an ever-expanding virtual world while building critical academic knowledge and skills. We developed Adventure Academy to address the alarmingly low levels of academic proficiency among elementary and middle school students, prioritizing the areas the National Assessment of Educational Progress has consistently shown a majority of American students are not proficient in, including reading, math, and science. Adventure Academy offers learners opportunities to explore hundreds of topics within these subjects and learn in ways that are highly engaging and effective. We have brought the same curriculum-first approach to Adventure Academy that we used in creating ABCmouse, which has helped educate nearly 20 million children to date. In developing Adventure Academy, our curriculum leadership conducted an in-depth review of state, national, and international educational standards, and collaborated with practicing teachers across the U.S. to identify the highest priority curriculum topics that students have the most difficulty with in school. As a result, the Adventure Academy curriculum emphasizes key topics such as reading comprehension, vocabulary development, mathematical operations, fractions, world geography, American history, physical science, life science, earth science, and scientific inquiry. Over the past three years, our world-class team of game designers, artists, animators, and engineers developed Adventure Academy with the quality and engaging features of a AAA game. This development process is led by creators of some of the most successful titles in the history of online gaming, including Kevin Beardslee, one of the original creators of World of Warcraft®; and Alex Galvagni, former General Manager of leading game studio Turbine®, creators of The Lord of the Rings Online®, Batman: Arkham Underworld®, Dungeons and Dragons Online®, and Game of Thrones Conquest®.